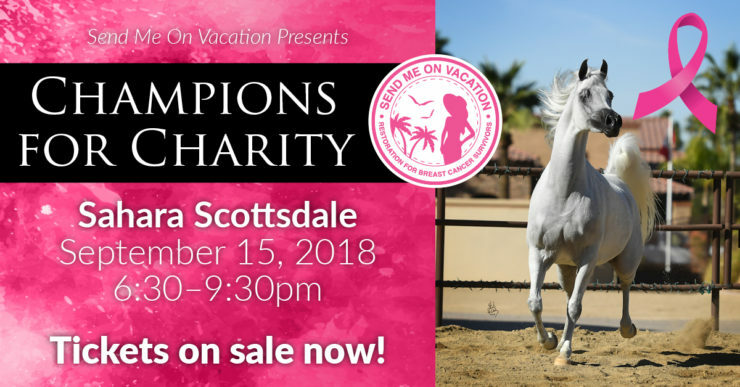 Champion Arabians “Turn Out” To Send Local Arizona Breast Cancer Survivors On Healing Vacations. Send Me On Vacation, Inc. (SMOV), a 501(c)(3) charitable organization, has partnered with Sahara Scottsdale Arabian Horse Farm to host their 2018 gala “Champions For Charity.” This rustic chic event will feature dinner in the stables, music under the stars by “Jacque Duhame & Any Given Moment,” urban cocktails, a stunning horse presentation and a silent auction featuring vacations offerings from around the world, all donated by SMOV sponsors. Tickets are $99 each if purchased online and each ticket holder will be entered to win a one week accommodation in Mexico. Sponsorships start at $1500. Each $1500 sends a breast cancer survivor on a healing vacation. During the enchanted evening in the stables, six local survivors will be awarded vacations. Tickets can be purchased online smovcfc2018.auction-bid.org. Each year SMOV sends nearly 100 breast cancer survivors from 8 different countries on healing vacations to rejuvenate the body, mind and spirit. Cathy Backus, a 25-year Scottsdale resident and President of SMOV, started the charity seven years ago, when her best friend Pam Horwitz (a 40-year Scottsdale resident) was diagnosed with breast cancer for a second time. Cathy and Pam have since made the charity the focus of their life after seeing the profound results of using “vacation rejuvenation” to jump start rebuilding lives after fighting cancer. “Giving survivors the time and place they desperately need to breathe, connect with their inner thoughts and dream of life after cancer is just the beginning of the program that we are able to offer to survivors in need. There is an unspoken strength, unity, and encouragement that emerges within every participant of the program” says Cathy. 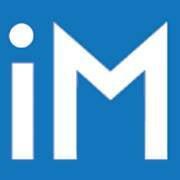 We affiliate with cancer centers, hospitals and other non-profit organizations around the world. SMOV has recently created a bond with Tickled Pink Club, a breast cancer organization in Atlanta, Georgia that promotes happiness, health and hope while fighting breast cancer. Grand Pacific Resorts, the event’s premier sponsor, will be donating the six vacation awards to local Arizona breast cancer recipients. Top level executives and resort members will be in attendance to present the awards. SMOV is a resource driven, survivor influenced, all volunteer 501 (c)(3) organization. Funds are raised solely through events and each event supports local recipients. This way, the charity is able to give back to the community of survivors that support the event. For registration go to smovcfc2018.auction-bid.org.